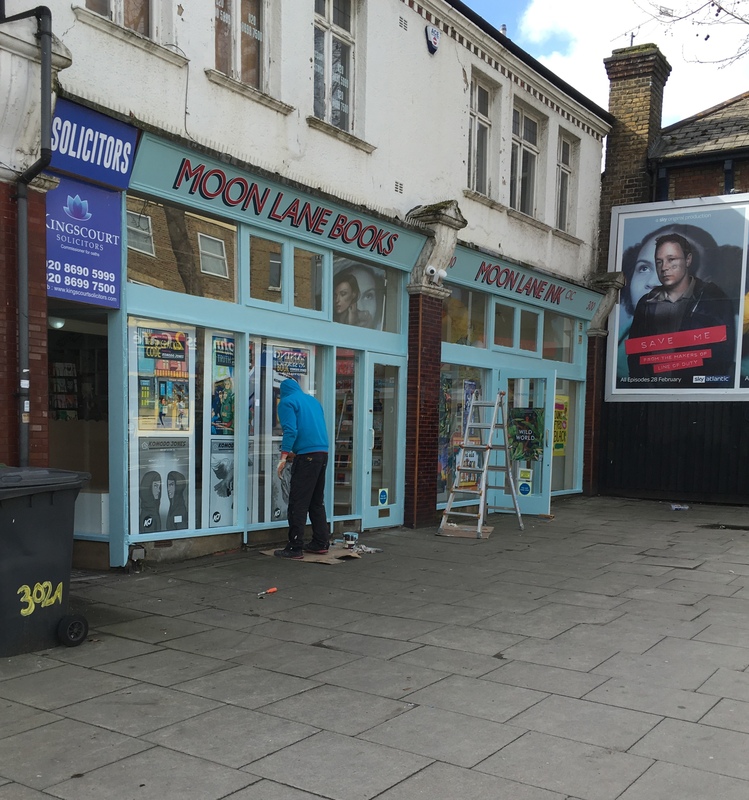 Moon Lane Books is a new shop and events space opening at 300 Stanstead Rd at the beginning of April 2018. We aim to create a fully integrated range of books to reflect London’s diverse population in terms of gender, ethnicity, class, disability, sexual orientation and culture. You may already know Tales on Moon Lane in Herne Hill, the award winning Children’s bookshop that was named Best Independent Bookshop for London by Bookseller for 2017. Born of Tales on Moon Lane’s success, Moon Lane Ink CIC is a a not-for-profit Community Interest Company dedicated to raising the equality in children’s books. Equality of access, equality of representation and equality of roles within the publishing industry. We’ll be offering Enterprise workshops to schools as well as an array of events throughout the year that support our mission. Interesting! Hopefully far enough away from @Smallprintbooks so that you don’t tread on each other’s toes. FH fast becoming a hub for childrens’ literature! They will compliment each other beautifully, I think. Great news! Is it in the building that used to be a library or on the same parade going towards Catford? Nicely near the Blythe Hill Tavern too! I’ve been to the shop in Herne Hill - a fantastic shop and worthy of all the praise. Thanks @Smallprintbooks we really look forward to working with you! I went past the Moon Lane Books in Herne Hill. It looks so lovely and am now very excited for this to open. I’ve just seen on their Instagram the shop opens tomorrow. How exciting. I looked through the window and looks like they’ll also be selling kids birthday cards and more. I’ve just been in for a quick look as I live very nearby and it’s looking really nice so far. Just a soft launch today as they’re still stocking and painting the front. They’re selling gift wrap and some cards too by the looks of things. Will hopefully be the start of some good change to this end of SE23! Went in today and wow what a difference since their soft launch. The shop seems ‘finished’ Again I was pleasantly surprised as there always seems to be new books, plus they now sell gifts and adult birthday cards. Am very impressed. Yes it’s an excellent shop. We went in recently as one of my kids had a book token to spend and there was a great choice of books for older children/young adult and a graphic novel section too. It’s a great shop. They also give a discount if you are a teacher or a school governor. Unfortunately not big enough for my parking fine for not being sufficiently aware about where I was! We have been shortlisted for London’s Independent Bookshop of the year at The British Book Awards! For the next stage in the judging process, they are interested in what our customers feel about the shop. If you love what we do for you and the wider Lewisham community and want your voice heard then please go to and follow the link below to tell them what you think about us.